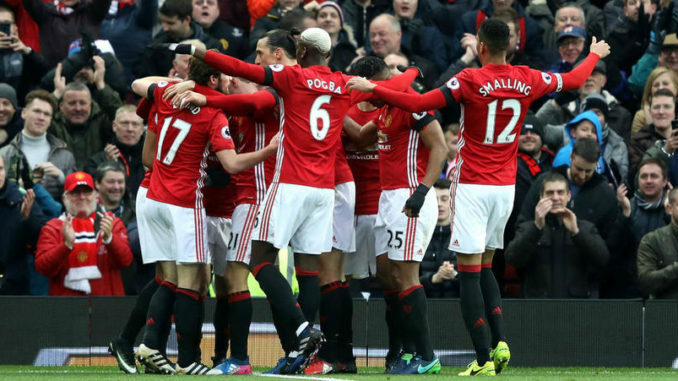 Manchester United have the opportunity to continue their three-match winning streak when they take on Arsenal in Saturday’s late kick-off at the Emirates Stadium. The Red Devils played out an entertaining 4-2 triumph over Watford in midweek, and Mourinho will now be eyeing his first away win against a top-six opposition as United’s head coach. Mourinho played with three-at-the-back formation during the victory at Vicarage Road, but we are anticipating a change in formation with both Nemanja Matic and Marouane Fellaini major doubts for the Emirates game. David de Gea could not do much with the two goals conceded in midweek. The Spaniard has already kept nine clean sheets in the top-flight, and he is certain to start this weekend. In central defence, Victor Lindelof could retain his position after his standout showing in recent games, and he could be accompanied by Chris Smalling over Marcos Rojo, who has just returned to regular first-team action. Antonio Valencia is assured of his spot on the right side of the backline, and he is expected to be accompanied by Ashley Young, who bagged the man of the match with a stellar brace at Watford. Paul Pogba is expected to start his fourth Premier League game on the trot, and the Frenchman could find himself playing in midfield alongside Ander Herrera with both Matic and Fellaini sidelined for the moment. Both Henrikh Mkhitaryan and Juan Mata have looked out of sorts in the number 10 role, and we are backing Jesse Lingard to take up the position after his wonderful solo effort versus Watford. Anthony Martial and Marcus Rashford could feature on either side of Lingard with the latter likely to be fresh after his second-half substitute appearance against Marco Silva’s side. Romelu Lukaku has once again three games without a goal for Manchester United, but the Belgian is more or less assured to lead the line ahead of veteran marksman Zlatan Ibrahimovic.